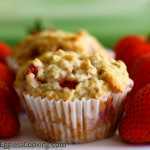 Have loads of strawberries at home? Wondering what to do with all of it? 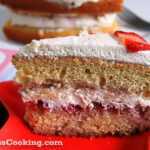 Check out this page for amazing eggless strawberry recipes and make delicious desserts from cakes, cupcakes, muffins, etc using fresh/frozen strawberries. Can a cupcake made with vinegar taste so good? Yes! Sure! 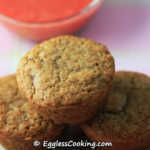 Try these vegan strawberry cupcakes and you will know what I mean. 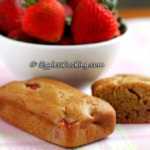 Can you believe that this moist and spongy mango bread is fat free? Check it out! 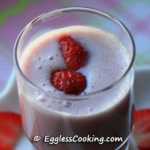 A very simple recipe to prepared Strawberry Milk at home with fresh/frozen strawberries, without any artificial additives. Your kids are going to love it! How To Hull A Strawberry? 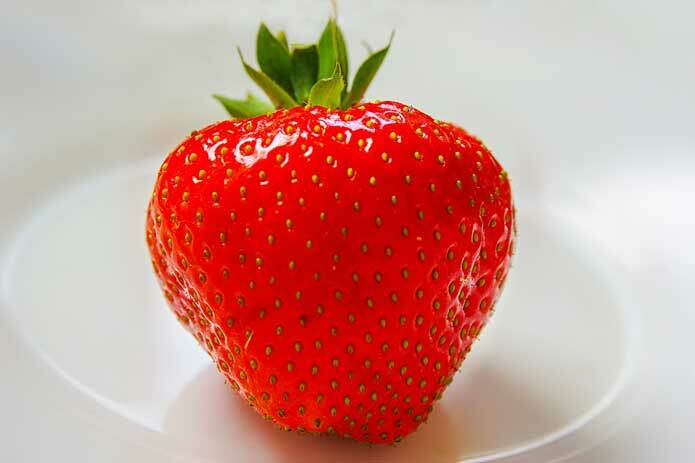 Have you ever wondered what hulling a strawberry is and how it is actually done? 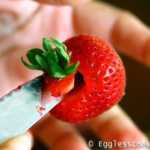 Don't worry, I have a step-by-step pictorial for you to learn how to hull a strawberry.